Summer is reaching its end and the thought of school lingering over like a big, gross cloud of adulthood is just… too much to think about right now. We all need a last minute impromptu escape from the mundane. What better way to get away than a road trip! Nothing beats having the windows down feeling the fresh air and bearing witness to all of Arizona’s grand beauty. It doesn’t matter if you’re heading North, South, East, or West. I’m sure no matter where you go in this beautiful state of ours, you are sure to have an adventure. Nothing beats taking a day trip. Every grand adventure needs the right soundtrack to accompany it. Music makes everything better. It can set the mood for any occasion. Some songs make you want to just sing out loud and not care how bad you sound. Other songs just get your blood pumping. But, what makes a song worthy of a spot on an ultimate road trip playlist? Does it need to be a crowd pleaser? Something you can sing the guitar solo to while doing a super sweet air guitar (not while driving). Maybe something you and your sweetheart can duet together? For me, it all comes down to having a large variety of music ranging from 50’s Doo-Wop all the way to ’10’s Indie rock and everything in between. Here’s a guide to help you craft that ultimate playlist that will have you and your friends singing the whole car ride! #1 Blasts from the past. Nothing beats having those embarrassing songs from your past that you still know all the lyrics to. I’m sure you and your friends remember liking a song or artist a little too much and that fad quickly faded away. But those songs still exist trust me just because you have forgotten about them doesn’t mean they have forgotten about you! #2 Cliche road trip songs. This one is for all the songs about being on the road. 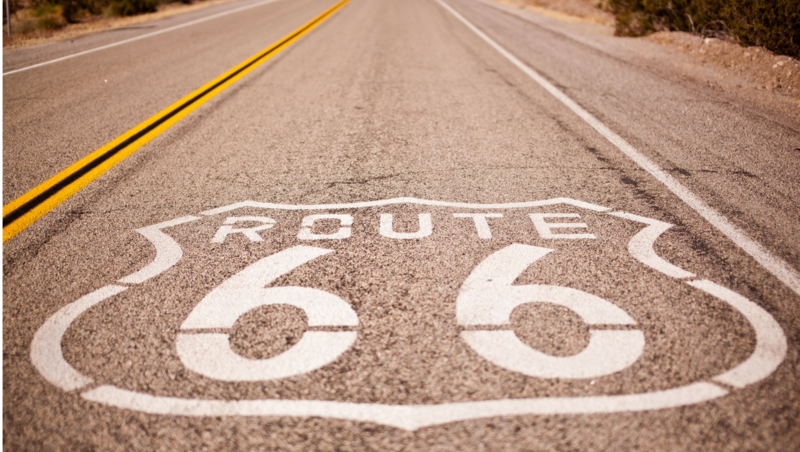 Plenty of artists have written songs about being on the road and these songs are just begging to be on a road trip playlist. Look I don’t care if everyone in the car doesn’t want to hear me sing I’ve Been Everywhere by Johnny Cash, I know all the lyrics! This one is pretty self-explanatory, you have to have some awesome rock songs on your playlist. Songs that will get the whole crowd (car) going. I’m talking Queen, Rolling Stones, Led Zeppelin, AC/DC. This type of song is here to get the energy up in the car. These songs are always a hit. #4 Chill out, take it easy. Every good playlist needs a healthy amount of romance. If you are brave, throw in a few songs to serenade your special someone. Duets are a perfect way for you and your sweetheart to strut your stuff… or make complete fools of yourselves. Either way, you two are in for some fun-filled memories. I hope this helped give you some ideas for an awesome playlist for your next road trip. Looking for places to go in Arizona? Stop by your local Bookmans! We have all kinds of books on Arizona and Southwest travel along with some pretty sweet CDs to add to your collection! Don’t forget to stop into one of our six locations on your travels and say hello!